Meaning of name: Lichmera derives from the Greek, to lick, to dart the tongue. Indistincta is from the Latin work indistinctus meaning obscure. 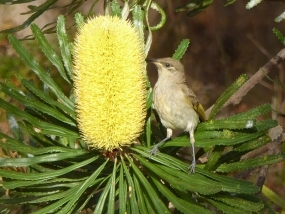 Distribution: Brown Honeyeaters are found in much of Australia but are absent from the central and south-eastern areas. Description: This bird is up to 14cm long and has a wingspan up to 23cm. 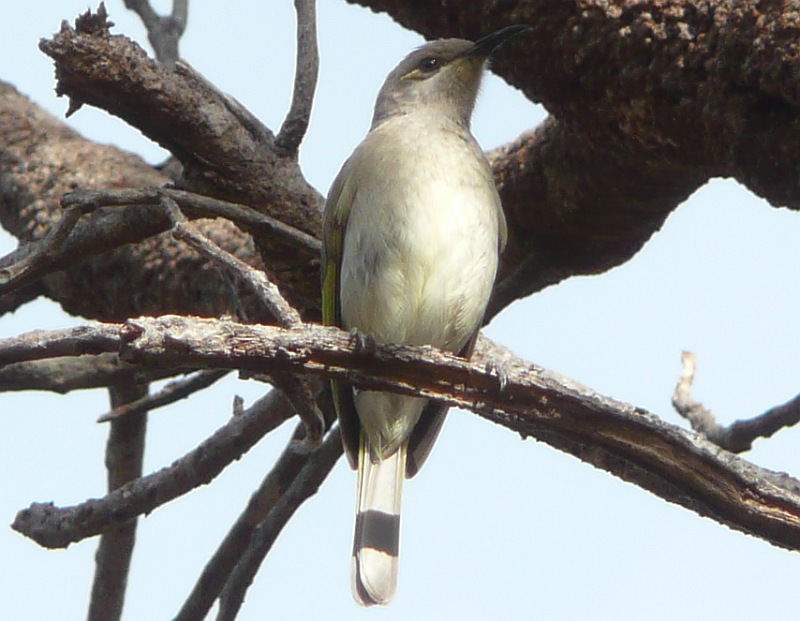 Notes: The furthest distance recorded by the Australian Bird and Bat Banding Scheme for this species of bird to travel is 168 km. 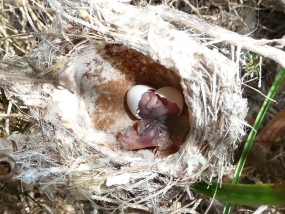 The oldest bird recorded was still alive when its band was read in October 1994, 13 years 1.8 months after being banded (information as at 21 June 2012). 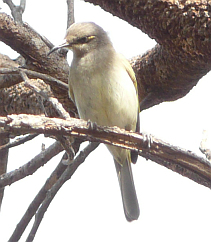 This is a very common garden bird where nectar producing plants are abundant. 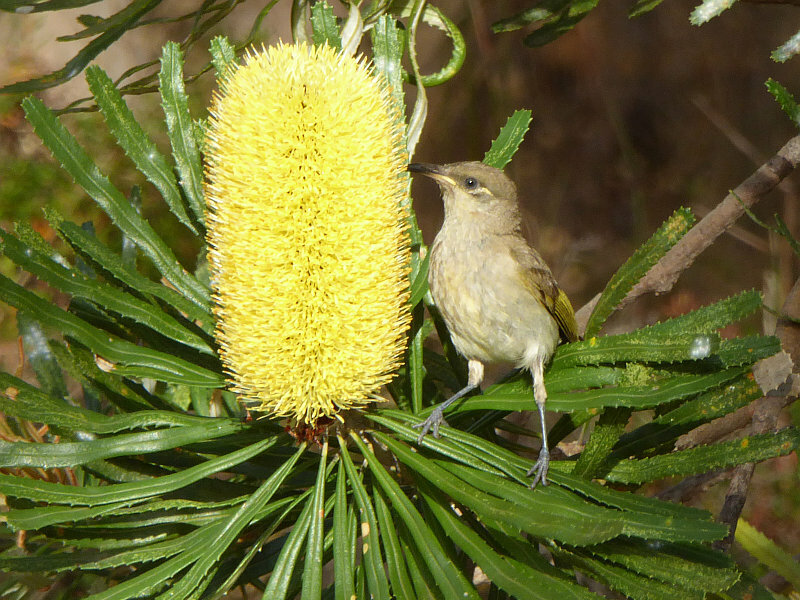 References: Handbook of Australian, New Zealand and Antarctic Birds. Various contributors. This male Brown Honeyeater was guarding its nest and asking the photographer to leave. This photograph was taken just as the chick was hatching. 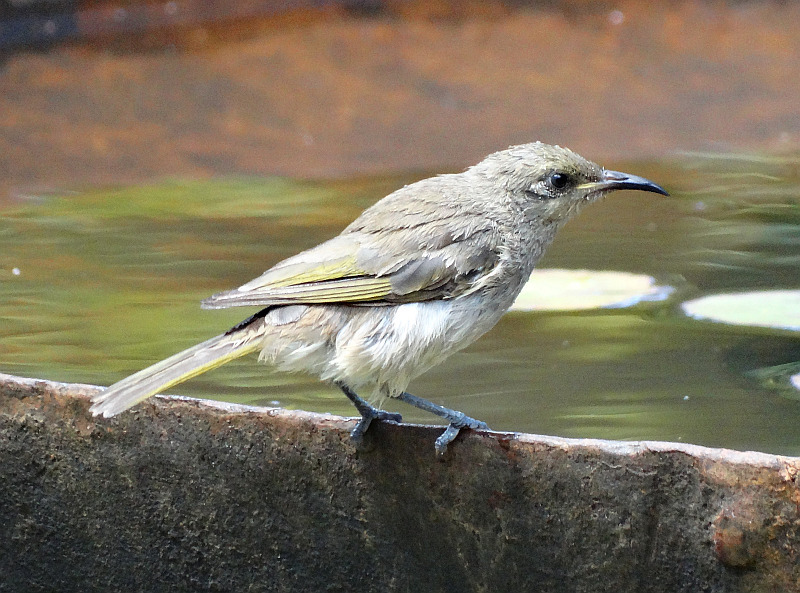 So, that's why the adult bird wanted the photographer to go away. This photograph was not taken in the reserves of interest to FQPB. Photograph courtesy of B Wykes.